(AP) HUNTSVILLE, Texas - A Texas man convicted of killing a police informant was executed Tuesday evening after the U.S. Supreme Court rejected arguments that he was too mentally impaired to qualify for the death penalty. Marvin Wilson, 54, was pronounced dead 14 minutes after his lethal injection began at the state prison in Huntsville. Wilson's attorneys had argued that he should have been ineligible for capital punishment because of his low IQ. In their appeal to the high court, his attorneys pointed to a psychological test conducted in 2004 that pegged Wilson's IQ at 61, below the generally accepted minimum competency standard of 70. But lower courts agreed with state attorneys, who argued that Wilson's claim was based on a single test that may have been faulty and that his mental impairment claim isn't supported by other tests and assessments of him over the years. The Supreme Court denied his request for a stay of execution less than two hours before his lethal injection began. Lead defense attorney Lee Kovarsky said he was "gravely disappointed and saddened" by the ruling, calling it "outrageous that the state of Texas continues to utilize unscientific guidelines ... to determine which citizens with intellectual disability are exempt from execution." Wilson was convicted of murdering 21-year-old Jerry Williams in November 1992, several days after police seized 24 grams of cocaine from Wilson's apartment and arrested him. Witnesses testified that Wilson and another man, Andrew Lewis, beat Williams outside of a convenience store in Beaumont, about 80 miles east of Houston. Wilson, who was free on bond, accused Williams of snitching on him about the drugs, they said. At Wilson's capital murder trial, Lewis' wife testified that Wilson confessed to the killing in front of her, her husband and his own wife. "Don't be mad at Andrew because Andrew did not do it," Lewis' wife said Wilson told them. "I did it." The Supreme Court issued a ruling in 2002 outlawing the execution of the mentally impaired, but left it to states to determine what constitutes mental impairment. Kovarsky argued that Texas is trying to skirt the ban by altering the generally accepted definitions of mental impairment to the point where gaining relief for an inmate is "virtually unobtainable." State attorneys say the court left it to states to develop appropriate standards for enforcing the ban and that Texas chose to incorporate a number of factors besides an inmate's IQ, including the inmate's adaptive behavior and functioning. Edward Marshall, a Texas assistant attorney general, said records show Wilson habitually gave less than full effort and "was manipulative and deceitful when it suited his interest," and that the state considered his ability to show personal independence and social responsibility in making its determinations. "Considering Wilson's drug-dealing, street-gambler, criminal lifestyle since an early age, he was obviously competent at managing money, and not having a 9-to-5 job is no critical failure," Marshall said. "Wilson created schemes using a decoy to screen his thefts, hustled for jobs in the community, and orchestrated the execution of the snitch, demonstrating inventiveness, drive and leadership." Wilson's lawyers also had argued that additional DNA tests should be conducted on a gray hair from someone white that was found on Williams' body, suggesting someone else killed him. Wilson, Williams and Lewis are black. Ed Shettle, the Jefferson County assistant district attorney who prosecuted Wilson, dismissed the theory of another killer as a "red herring." 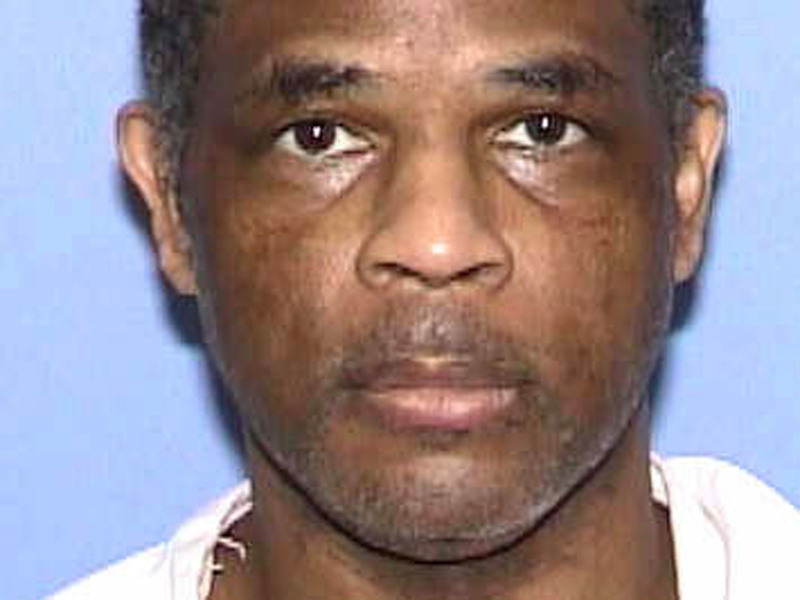 Wilson was the seventh person executed by lethal injection in Texas this year. At least nine other prisoners in America's most active death penalty state have execution dates in the coming months, including one later this month.